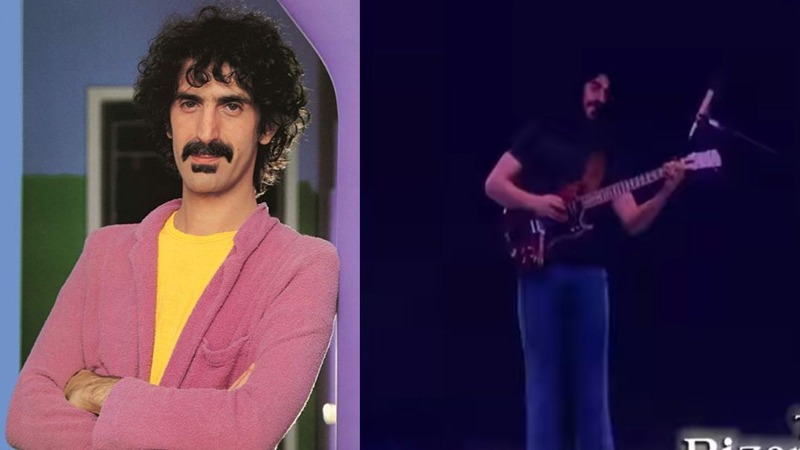 The tour “The Bizarre World Of Frank Zappa” is about to start and unreleased footage of the musicians hologram was revealed. The hologram was created by Eyellusion, the same company that’s behind the Dio hologram. The tour band will feature some of Zappa’s former bandmates, and consists of guitarists Ray White and Mike Keneally, bassist Scott Thunes, multi-instrumentalist Robert Martin, percussionist Ed Mann, and drummer and Zappa archivist Joe “Vaultmeister” Travers. “Many of the images stem from a 1974 session when Frank Zappa transformed his Los Angeles rehearsal space into a sound stage and cranked out some unbelievable performances seen and heard only by the camera operators in the room.